Gaming at the Museum – Introduction! In July I spent a week running a Dungeon World campaign as part of summer camp for 16 kids, aged 9-12, at the Aga Khan Museum in Toronto. It was my first longer campaign that I’ve designed, and the three assistants I had (who were amazing, thank you all!) had never run any tabletop RPGs before whatsoever. 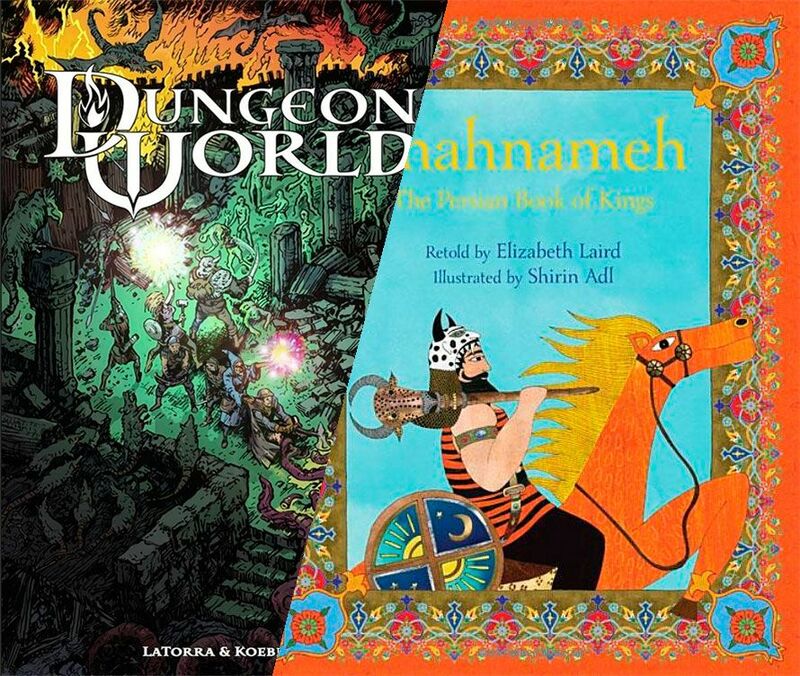 I’d been recommended by the excellent Daniel Kwan, who runs Pathfinder and DnD 3.5 for kids 11-14 at the Royal Ontario Museum, which you may have heard me raving about on Twitter in the past. It’s a really cool program, and it’s thanks to him that I got the chance to run this one at the Aga Khan Museum! While Daniel was incredibly helpful and supportive and offered a lot of information on how he ran his program, the age difference between his kids and mine meant I couldn’t use the same system. 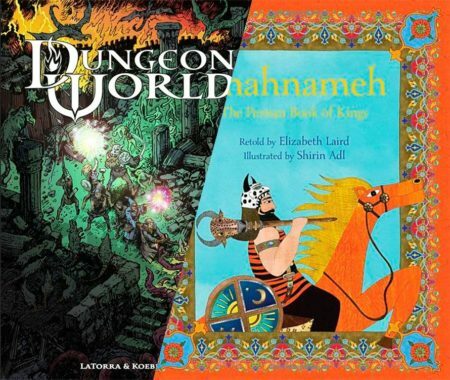 Additionally, the Aga Khan Museum didn’t want a generic fantasy world for their kids, they wanted to use the game to introduce them to the world of the Shahnameh, a thousand-year-old epic poem covering the mythological and historical past of the Persian empire prior to the arrival of Islam in Iran. It’s an amazing piece of literature on many levels, the first being that it is the longest epic poem ever written by a single person. As I mentioned in a research post earlier, I relied on a kids’ adaptation to be able to parse the poem into key segments for the summer camp, and without that I would have been completely overwhelmed. So in the end, we divided the campers into four groups of four, each with a staff member as Game Master, and each group followed their own special quest over a shared landscape, which was also shared with the story of Rostam’s Seven Trials, from the Shahnameh. We used the museum’s resources and collection to flesh out the world for the kids, and enable discussions about animals and monsters, heroes, clothing, treasure and stories. We worked on daily crafts that helped us get deeper into the subject matter and share what everyone individually found the most interesting. And we all had a really great time! So over the next three posts I’m going to dig into each aspect of this project, and share what was exciting, interesting, challenging and hopefully inspire you to try something similar sometime!